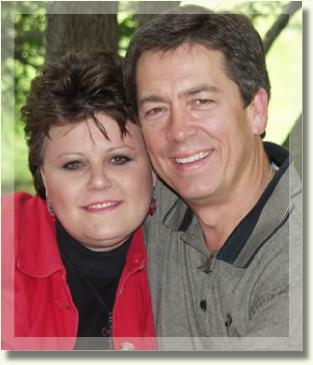 About Us - Creating Intimacy and Respect, Inc.
David and Amy Ensminger are Founders of Creating Intimacy & Respect, Inc. and have earned a reputation as compelling and entertaining speakers, trainers, accomplished coaches, and entrepreneurs. They bring a rare and unique ability to work together as a couple in providing wisdom, knowledge, support and services to create change in relationships and marriages. They were married in 1985 and have been working together to accomplish their mission of providing hope and joy in the lives of 100,000 couples. From 2005 to 2009, they became trainers for an life management training called Pathways Core Training crafted by Dr. Phil MacGraw as well as trainers, a life management training called Zac's Ridge and a relationship training called Relationship Rich Seminars. In addition, since 2005 they have provided workshops, training's and retreats for various churches. As active members of Heartland Church in Carrollton, TX they have been facilitators and leaders for the couples ministry teaching Marriage by Design classes, Couples retreats, and other various events within their church. In 2010, they founded “Creating Intimacy & Respect, Inc.” which provides highly successful seminars, workshops and retreats for couples, before or after marriage, who want to build upon the relationship principles they have created OR for couples who want to get back on track and recover from the pitfalls that have sabotaged their relationship. If you were to ask them, why the success rate for the Couples Seminar is 94.5%, they'd say "the overwhelming results from the seminars aren't related to our qualifications or credentials as much as it is to the tools and skills we share in the training that come from our own real life experiences. These tools and skills are the very ones we developed when we were separated, filed for divorce and restored our marriage. You know, the kind of tools that work and will create lasting change if you use them -- just like we have in our own marriage." They are Founders and Facilitators of Creating Intimacy & Respect, Inc. since 2009. They have done Corporate Training, Speaking and Coaching since 1997. They conduct Coaching & Training for thousands of Couples through seminars, workshops, classes, training's and one-on-one couples coaching. Trainer: Relationship Rich Seminars (Couples Training); Pathways Core Training(Individual Life Management Training) & Zac’s Ridge (Individual Life Management Training). Amy Ensminger, Consulting, since 1994 which caters to corporations and individuals for training, coaching, consulting, mediation and personality assessments.